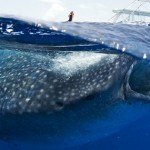 Avoid get scammed whale shark tour Cancun 2016, the start date of this season is June 1st and not May 15th, be aware of doing the tour in legal terms. Many tour operator will say that you can book a whale shark tour starting 15th of May 2016, but the true is that none of the tour operators from Cancun, Isla Mujeres, and Holbox can’t confirm that, the Mexican government will release the permissions on June 1st. Whale sharks arrive every summer to the coastal of the YuctanPeninsula, between Contoy Island and Isla Mujeres, the number of whale sharks that arrives is growing year by year, that’s why is becoming a top tour activity from the main destinations of the area Cancun and Riviera Maya. 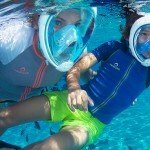 The tours must be run according to the whale shark rules established by the CONAM and SEMARNAT, federal authorities for nature protected areas, like the one, developed past years for the arrival of the whale sharks, avoid get scammed Whale Shark Tour Cancun 2016 and book with professional tour operators. 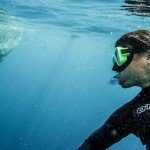 All boats must pass the verifications of safety, and the staff must be certified by the federal institutions to get access during the season to the national park of the whale sharks. 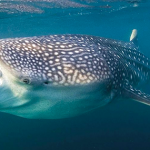 The months of July and August, in general, are the warmest months of the year, and probably is when more plankton is at the area, so more plankton more whale sharks for sure. 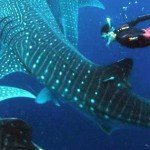 If you are not ready to book a whale shark tour from Cancun yet, please find more answers in our whale shark tour Cancun faq and take the best desition.